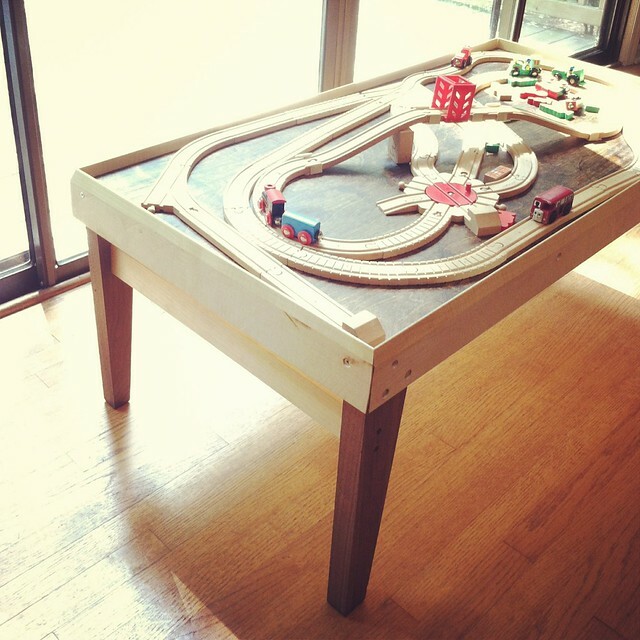 Who knew that a train table was on the list of benefits employees expect these days? Max and Miles went on strike from work last week, stating they wouldn't come back unless we had a table like Google and Pixar. Who were we to argue? Using scraps he had in the shop, Edgar came to the rescue and engineered a happy train platform for Max, Miles, Thomas and Friends. And what's great is it will be able to grow and change with their needs. 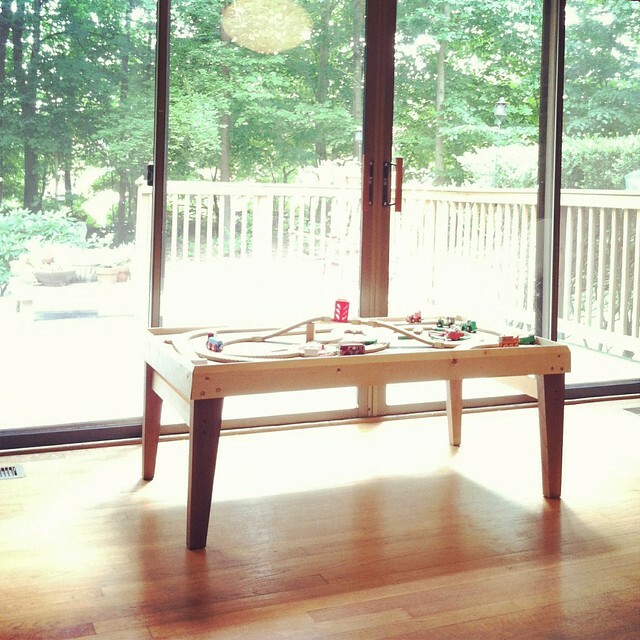 Today a train table - tomorrow and arts and crafts table - and then one day a coffee table in their dorm room! Ils sont adorables ces deux petits bouts de choux ! 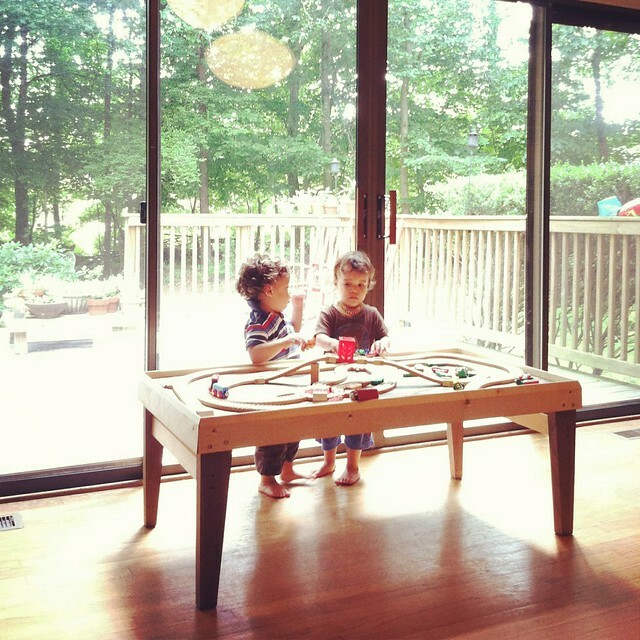 Those little train sets are great for kids, and how clever to make a table just the right height for the boys. Do they argue much when they play? 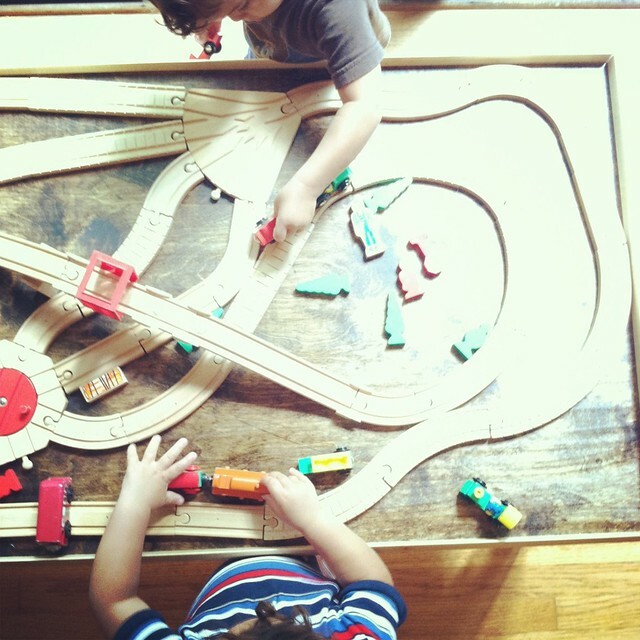 My little guys play almost exclusively with their wooden train set these days. Every day they spend collective HOURS on the floor with the train track. There is plenty of bickering, too, but they manage all right. @martinealison Thanks so much! Glad you like the photos. @ann @ studiohyde Thank you Ann. They argue here and there, but they spent quite a bit of time play with it. This new distraction helps us get some work done! @Rosie_Kate Have they tried to break it apart? I had to nail this one to the board. I love it! The natural wood is so nice looking instead of bright primaries all over the place.